In her senior year of college, Rachael McKriger is serving her second consecutive term as Editor-In-Chief of the California Times in the 2017-18 school year. In addition to being Editor-In-Chief, McKriger also serves as a writer (mainly in sports) and photographer. McKriger also writes outside of the Cal Times, as she's a sports journalist for four websites. She covers the Pittsburgh Riverhounds and Pittsburgh Steelers for Pittsburgh Sports Castle, and just the Riverhounds for The Mon Goals of the Beautiful Game Network. She covers the Seattle Sounders FC -- her favorite MLS club -- and the National Women's Soccer League for Last Word on Soccer. McKriger also has a freelance photography venture called McKriger Photography, which she started in March 2016. Furthermore, outside of college, McKriger is a stringer (journalist) for the sports section of the Mon Valley Independent in nearby Monessen. She has held the job since July 20, 2017. Formerly, she was a copy editor at the Herald-Standard newspaper in Uniontown for nine months. In addition, McKriger is on the W2M Network podcast called "Soccer 2 The Max," alongside Erik Watkins and Sean Garmer. The three talk about anything pertaining to soccer- domestically in the United States and even abroad. At Cal U, McKriger is studying English with a concentration in Journalism. She is also studying for a minor in Sociology. 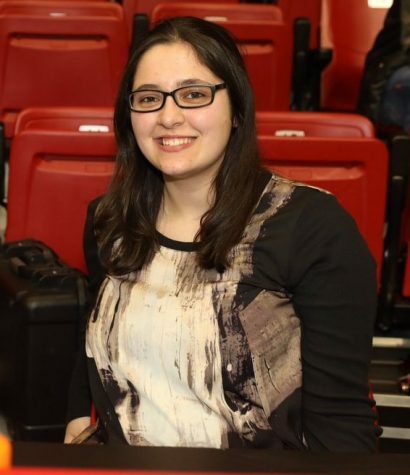 She is also part of CUTV and the Society of Professional Journalists. With the Cal Times, McKriger started out as a writer her first semester (fall 2015) and then became the Sports Editor in her second semester (spring 2016). After her undergraduate career ends, McKriger plans on attending Point Park University to pursue a Master's degree in Media Communications: Journalism.